The pre-season has come and gone, as have the opening game jitters and excitement. 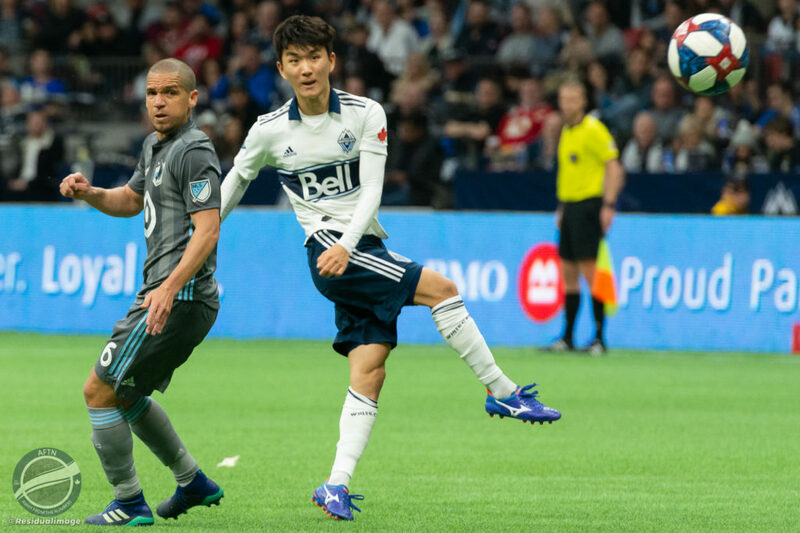 Now we find ourselves at the March international break, so it seems like a natural time to assess where we are and what we’ve learned from this “new look” 2019 Vancouver Whitecaps’ side. Hype and anticipation are one thing, but let’s look at what has unfolded on the pitch. First, the style and strategy. A lot was made of the new approach this year. We were to expect a high press, possession, passing out of the back, and better linkage going forward. Gone was the bunkering in the back and the hopeful (but all too rare) fast break of the Robbo years. In short, we could expect a style more pleasing to the eye. In some respects, this box can be ticked. Much has been written about the need to wait for the players to become better accustomed to one another and to find their rhythm as a side. There is obvious merit to this narrative and we all need a dose of patience. However, the first three matches have indeed revealed the seeds of change. We can see a higher press and we can see a movement afoot to move the ball about with purpose. As the team gels, and players gain a better understanding of the system and each other, we should expect some more improvement in this connection. 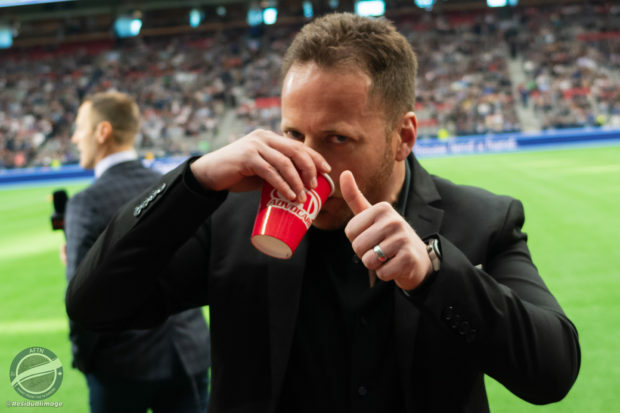 However, at the same time as we’ve seen adoption of the Marc Dos Santos formula, we’ve also seen too many of the bad habits from the last regime rearing their heads. For example, I’ve been surprised and angered at the preponderance of the hopeful long ball lumped forward in the general direction of a midfielder or forward. The percentage of success in these passes is tragic and yet they keep coming. That percentage is even worse in context. That is, the 2019 side has no target man (although Joaquin Ardaiz could prove to be a target man in time). So, either the accuracy of these passes needs to improve dramatically or they need to become a rarity (except in the dire emergency of a siege on our box). I think the latter is the better approach. It should be an absolute last resort that a defender should be launching the 40 yard bomb to no one in particular or to a small forward with two defenders hanging off of him. Similarly, dropping the midfield into a shell at about the 30 yard line and allowing the opposition to have free reign to probe its way in from there didn’t work well under the old regime and it isn’t working well now. Secondly, Inbeom Hwang, Jon Erice and Erik Godoy are welcome additions to the squad. They are money well spent and hold significant promise going forward. These are players we can build on into the future. Conversely, Andy Rose, Victor Giro, and Derek Cornelius are “not ready for prime time players”. They are depth players at best, but more likely USL material. Unfortunately, the MLS has moved on and passed them by. Rose is too slow and doesn’t have the skills or football acumen to overcome his lack of pace. PC brings marginal skills, limited judgment and nothing new, and Cornelius just isn’t comfortable enough on the ball (whether in or out of his usual position) and his gaffs speak volumes. Thirdly, it seems apparent that Yordy Reyna is playing out of position. He is a creative player (one of the few we’ve had over the years) and he has the ability to unlock a defence with a good through ball. Now, he’s lost out on the wing. His first touch has been letting him down, but more importantly he doesn’t have the blinding speed to terrorize a defender and he tends to hang onto the ball too long out there. He looks a little undecided and somewhat lost. If he was back in the midfield, it would take some of the heat off of Inbeom Hwang as the opposition would have two creative midfielders to deal with and not just one to key on. We’d thereby be much more likely to get better service to our finishers up front. Fredy Montero has been virtually invisible for three games so far, but I would argue that is primarily due to a lack of service and not so much due to his failings. I’d rather see Venuto and Bangoura on the wings, or Ardaiz as an additional forward and Reyna back where he has caused significant damage in his previous time with the Caps. Of course, he can go forward from time to time as appropriate, as can Hwang, but I’d rather see him in the midfield in place of Rose. I’ll take the bolstering of a so far anaemic attack over the loss of Rose’s defensive play and the elimination of a weak link. Fourthly, this team has virtually no depth. Hopefully Jasser Khmiri and Ali Adnan will go a long way toward addressing this problem at the back, but our midfield and forward positions are skinny to say the least. I am hopeful that the summer transfer window will bring the ‘Caps more troops, possibly even a new DP splash signing (I know, I can only dream). Injuries to key players now could prove disastrous. Fifthly, a high press won’t be terribly effective without commitment and buy-in. We’ve already seen some nicely forced turnovers, but too many times this year we’ve seen a token one or two man press while those making the run look hopefully behind them only to see the midfielders backing off or not picking up the closest opposition player. It needs to operate like the classic match-up zone on the basketball court. Token pressure simply allows the opposition too many outlets to relieve the pressure. This commitment to move is also necessary and presently lacking when we have the ball. Again there are too many passengers on the bus and not enough teammates prepared to move off the ball to create better passing angles. Passing options don’t just happen, they are earned the old fashioned way, with hard work. Sixthly, Maxime Crepeau has been a reasonably satisfactory replacement for Stefan Marinovic. He has kept us in games with fine saves and freed up an international spot, but his distribution has been sub-prime. He too is guilty of the hopeful long ball downfield and he has a penchant to pass the ball directly to the opposition or out of bounds. Other teams are noticing and are sending a runner at him just to throw him off. It is working nicely for them. This simply has to get better. Seventh, our defending has been poor to middling at best. Defenders who routinely make one or two or three gaffs a game simply aren’t up to the task. Potential is not good enough. Hopefully Khmiri and Adnan will help in this connection. In the meantime, better communication and organization are the only hope. Remember, we have yet to play a top tier team and Seattle are in town shortly. Eighth, we were invited to believe that the 2019 squad would see more freedom for the left back and right back to go forward in attack. Obviously, there isn’t much point in discussing the train wreck at left back, but I’m surprised at the lack of forward movement from Jake Nerwinski in games one and two. Maybe he felt he simply couldn’t leave his besieged compatriots at the back. Ninth, if a corner kick doesn’t get by or over the first defender, it isn’t a corner kick. Rather, it is a waste of time and effort at best, and a liability at worst. When this happens, our key defenders, such as they may be, are trapped upfield. This can and must be improved on the training ground. Tenth, our overall talent level is simply not good enough in today’s MLS. As noted above, we have some good talent, just not nearly enough overall. We allow our opposition to key in on our two or three threats and we are in trouble. Now that this is obvious, it must be addressed or the results just aren’t going to come. Again, the summer transfer window beckons. Without positive additions, the playoffs look like a high mountain to climb. Notwithstanding the somewhat negative view I’ve presented, the sky isn’t falling. I’ve enjoyed watching some positive play for a change and I’m prepared to keep watching. 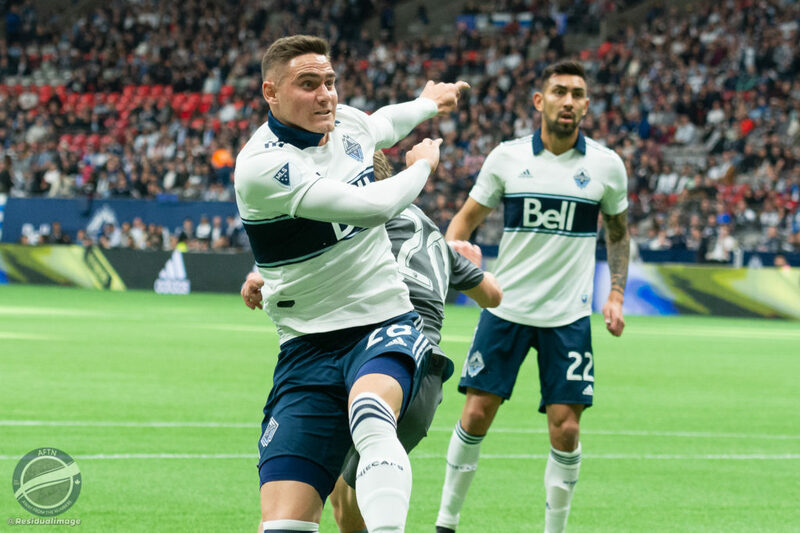 I trust that familiarity among the Whitecap players will indeed bring improvement, as will the addition of Ali Adnan and Jasser Khmiri at the back. However, I don’t get the impression that this team, as presently constituted, will strike fear in the hearts of our foes. Rather, I think we’ll pick up some nice wins and we likely won’t be worse than San Jose and their ilk. Just don’t expect us to challenge the leaders in the West without some new and better troops. We simply now have a base upon which to build. We have to stop buying tickets or else Kerfoot & company will keep giving us hot dogs at lobster prices. Youre right, we are a USL team at best, maybe CPL, but certainly not good enough for the MLS. Doug, a very thoughtful article, well thought out and presented, I agree with you 100%. You have highlighted many of the points I yell at the screen while I’m watching the game. We have a USL coach and team and definatly not ready for prime time. It’s going to be a Long season. I gave up my seasons tickets to the 86ers a long, long time ago for much of these reasons. Watching Fonseca ball was like watching robbo ball, not much fun and it doesn’t look like much has changed or will change. So, I still watch a bit here and there, Davies was worth it and it looks like Hwang will be fun to watch as well. They really need to get the defense sorted out before the rest can improve though. It is frustrating, but is early. I believe in this coach, with so many changes it will take time. This team will be better than last years. Ralph Furley – A Steve Nash motivational speech only goes so far. Jeff Mallet ~ “instead of being a good team, maybe it’s time to be a great team” bugs the crap out of me. Now that the NSDC is complete, and the academy system has been established, Infrastructure is now in place. Time, money, and energy well spent. If MLS allows it, maybe Bobs comment can finally start becoming a reality. Former Fan – I’m a former season ticket holder as well. Blame MLS refereeing. I love the Caps but hate the league. 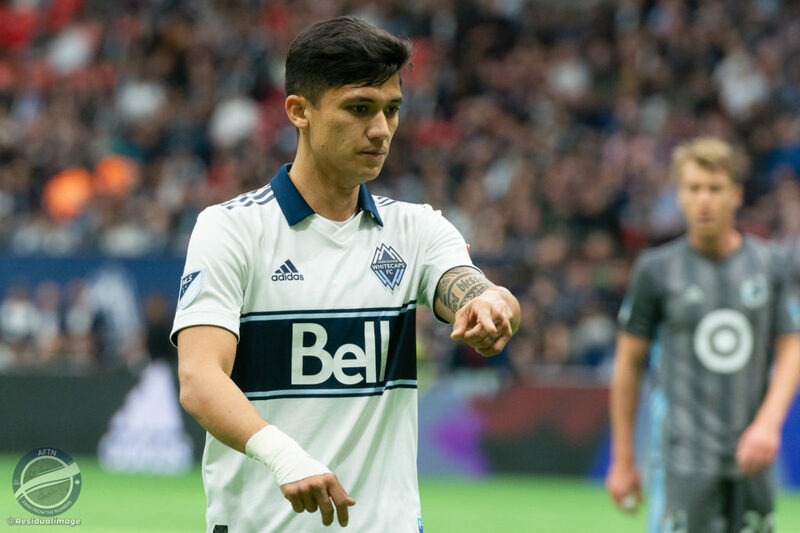 I’m not sure If spending millions of dollars on talent would make any long term difference in the Whitecaps playoff performances. Makes me wonder if ownership feels the same way? We’ve all seen what happened to Kendall against Dallas. We’ve all seen the VAR calls made this season. Anyway, I better stop, I wouldn’t want to be labelled as a conspiracy theorist. Doug Marshall – Solid article, your comments are hard to argue with. Thanks.